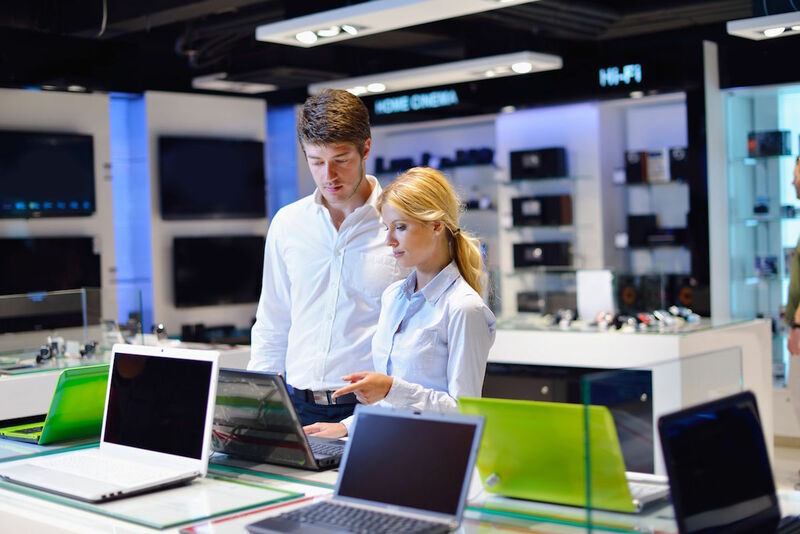 Whether you're in dire straits with your office tech or simply completing a scheduled refresh, shopping for a new business device during the holidays can be a smart choice. While consumers are being targeted for light, flashy mobile gaming machines and smartphones, small business owners can cut through the clutter and get the perfect business-ready technology to start the new year strong. Identify the deal-breakers when buying a new PC. Be honest with yourself about what this device is for and pick the right form factor. Do you need a portable device that’s easy to travel with? Do you need a fast device that can handle high capacity? Use our Business System Advisor to help you decide what device is right for you. Every business has its own tech needs. While you can decide the function of your new device, you may need to speak with a professional for security, memory, and processing requirements. Find a provider you can trust. Retailers are pushing the latest consumer devices, but they're also discounting the latest models of high-powered laptops, 2-in-1s, and desktops that work well for small businesses. Do your research on which model is most appropriate for your business needs, and shop around the prices. If you do decide to wait until early 2017, be prepared for prices to rise. Luckily, new devices are discounted more often than older models, and holiday deals make it worthwhile to purchase now if you’re in need. Online shopping provides plenty of detail to get what you need, and once you know what you want you can purchase it quickly. With advanced security, shopping online from a trusted provider is a great way to purchase devices, and fast shipping makes it convenient. Shop Microsoft for Intel-powered devices you can trust. Intel is here to help small businesses achieve their goals with the right technology. Discover more resources to help your small business thrive, and follow @IntelSmallBiz for the latest tech news.